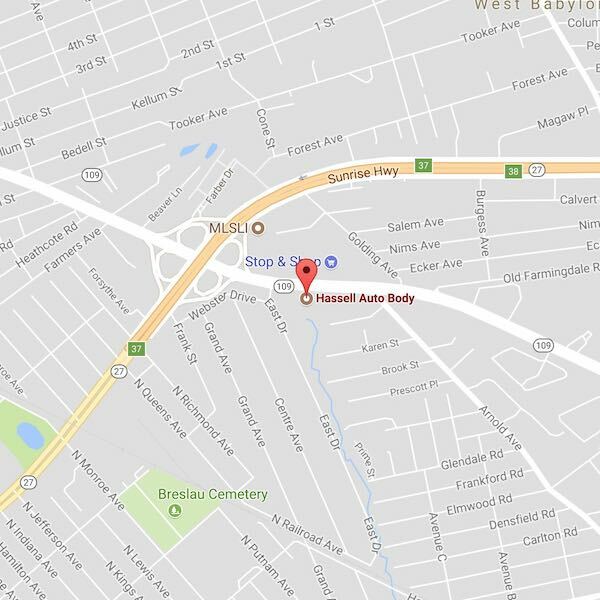 Hassell Auto Body uses the latest in computer and electronic technology for fast, precision alignment. This is done with "CAR-O-LINER" the industry automotive structural repair system for accurate frame straightening. Frame alignment is crucial in ensuring your vehicles safety and performance. Proper alignment also prevents undue wear and tear, and provides you with greater control when driving your vehicle. All parts, structural repairs, and refinishing at Hassell Auto Body are backed up with a Lifetime Warrantee, another example of Hassell Auto Body's complete dedication to your total satisfaction. Our technicians are experts in the repair of all types of auto glass. At Hassell Auto Body we can repair your vehicles auto glass regardless of make or model. We can also make temporary repairs if you need your vehicle for immediately use. If you choose to give your vehicle a personal touch, or would like to bring out your vehicles beautiful bodylines, Hassell Auto Body's professional, hand painted pinstriper, can do the job. If one of your panels needs to be replaced or repaired we can match the hand painted stripe you already have. Tape stripes are also available to replace factory tape striping or after-market stripes and decals. The newest technology in polishing paint and clear coat surfaces along with adjustable high and low speed polishers and foam pads, to restore your vehicles finish to a factory luster and texture. Hassell Auto Body only uses the finest compounds, polishes and waxes. Getting your vehicle ready for summer and winter months? Hassell Auto Body will give your vehicle a good polish and wax to repel the harsh weather.